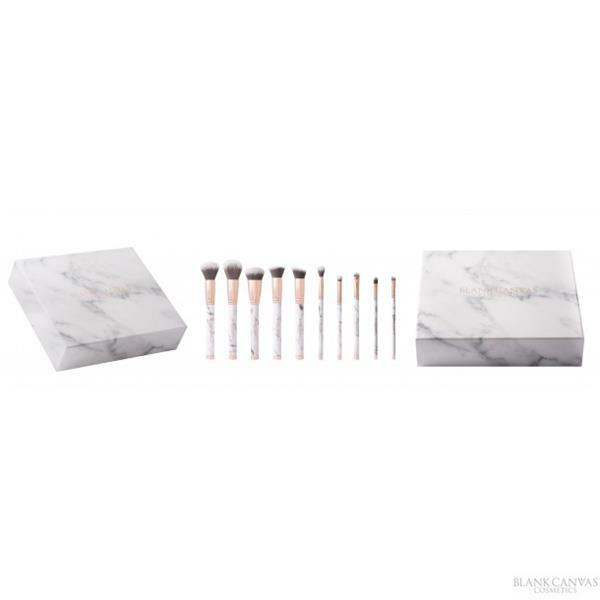 This beautiful limited edition Magnetic Marble Brush Set from Blank Canvas Cosmetics almost looks too good to use. 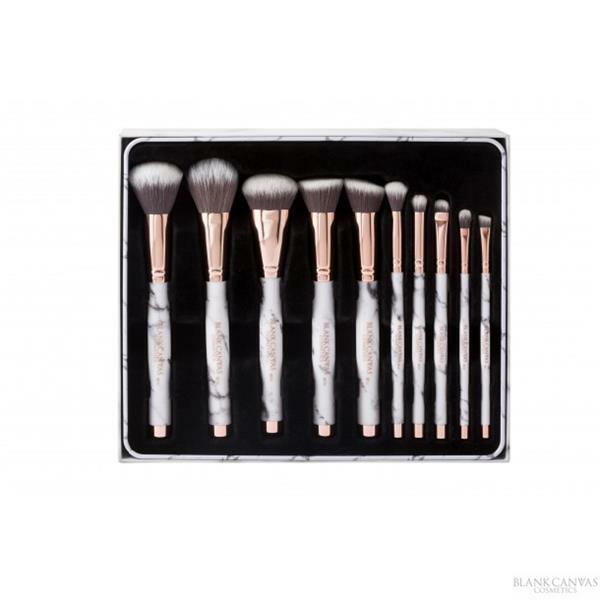 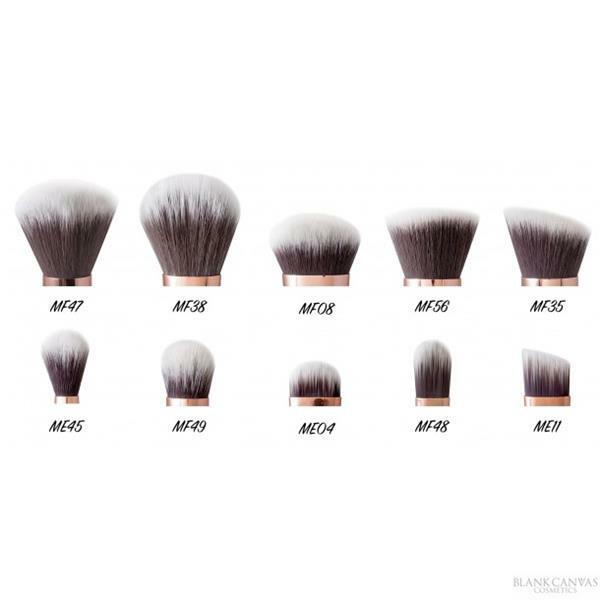 The set includes 10 marble and copper handled brushes and a magnetic frame holder which allows you to position your brushes in a number of different ways, making it a great feature on any makeup table. 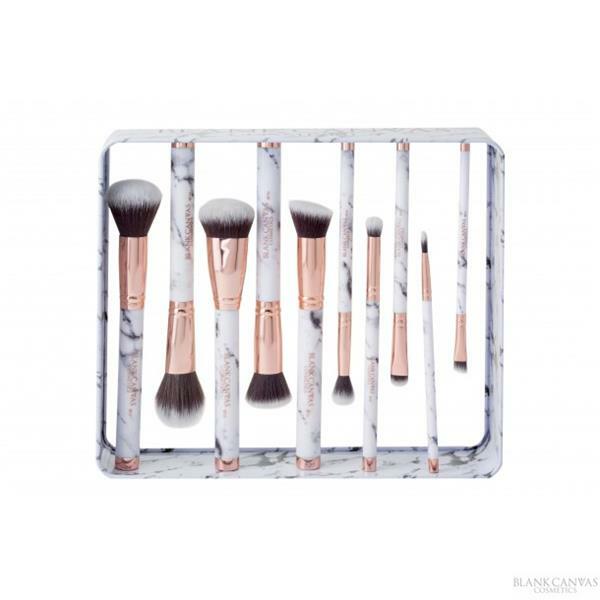 The set is presented in a matching keepsake tin.